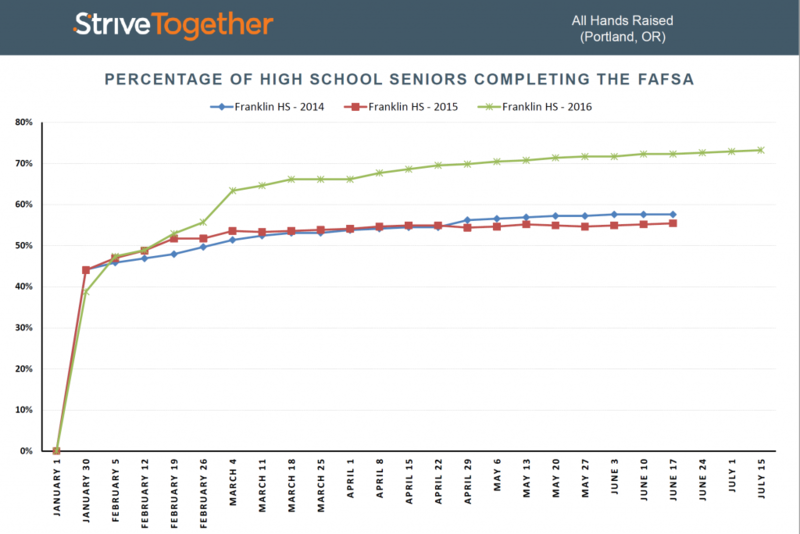 All Hands Raised, the cradle-to-career partnership in Multnomah County, Oregon, has made considerable strides in bringing community leaders, school districts and organizations together to improve outcomes for kids. Students’ academic achievement has improved because of changes in policies and organizational structures to ensure equitable opportunities. Based on evidence from data, a self-assessment and interviews, All Hands Raised has been designated a proof point community. School districts, community organizations and businesses in Multnomah County have aligned their goals, structures and activities to support the cradle-to-career vision of All Hands Raised. All Hands Raised worked with Boise-Eliot/Humbolt Elementary School and Albina Head Start to facilitate the introductions of pre-K students and their families to the kindergarten teachers at the elementary school. Boise-Eliot/Humbolt and Albina Head Start were also able to vertically align their efforts to ensure students were supported academically, improving kindergarten readiness. The partnership also brings together all six superintendents in Multnomah County to share learning with one another. This has created transparency among districts with superintendents sharing strengths and weakness with one another and working to spread successful initiatives. “It has created a good spirit of competition between superintendents, who want to do better after we look at data,” says Paul Coakley, superintendent of Centennial School District and a member of the Leadership Council. Data is used regularly to support students. 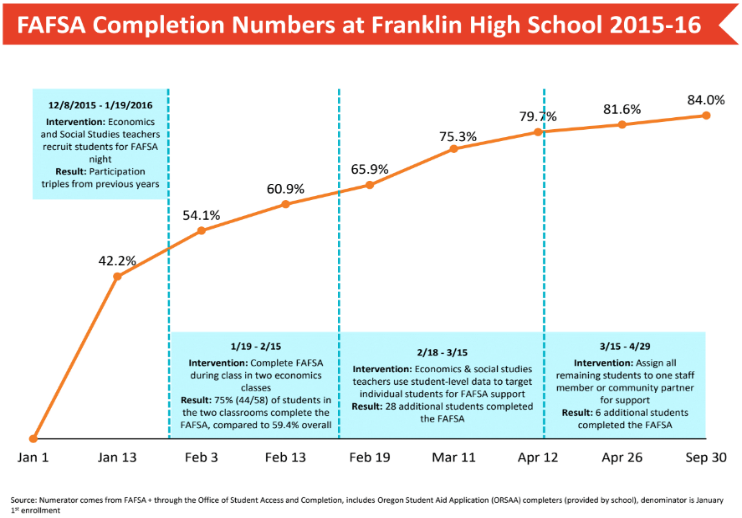 After Franklin High School began receiving real-time updates with student-level completion data for federal college student aid applications, the school’s economics classes designated the entire month of December to the Free Application for Federal Student Aid. They discussed everything from taxes to how to pay for college, and students are understanding the importance of completing FAFSA and how it impacts the process of college completion. All Hands Raised has established a sustainable model to support the work of the partnership. A data committee was established by All Hands Raised to look at what data gaps existed, who looked at data, and how it was being shared with the community. Without real-time data, teachers were not able to monitor student performance. The committee set up a structure for data to be pulled in real time and All Hands Raised created data visualizations to make the data more digestible. The data committee ultimately became obsolete because it was able to establish a systemic process to support partners. All Hands Raised elevated the work being done around equity in schools and brought culturally-specific community-based organizations and corporate leaders to the table. Businesses learned about what was being done to support students and families, and shifted their company cultures in recognition that student success is the responsibility of the community, not just schools. Principal for Half a Day, an initiative facilitated by All Hands Raised, puts business leaders in schools for half of a day to raise awareness of the barriers as well as great work that exists in schools. After gaining a deeper understanding of the education ecosystem, business leaders have changed the way their organizations support the community. 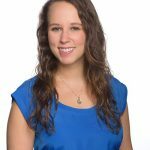 Eleni Towner is senior manager of assessment and evaluation for StriveTogether. Her responsibilities include the Civic Infrastructure Assessment for prospective and current network members, the Systems Change Assessment and the StriveTogether national evaluation.